In this article we’ll go over how to manually trust an iOS Enterprise App once you’ve downloaded it to your phone. This is required for your company’s internal app to work on user’s iOS devices. If you haven’t already installed your company’s internal app on your phone and you have iTunes on your computer or laptop, we have an article showing you how to install the app onto your iOS device using iTunes which you can access here. 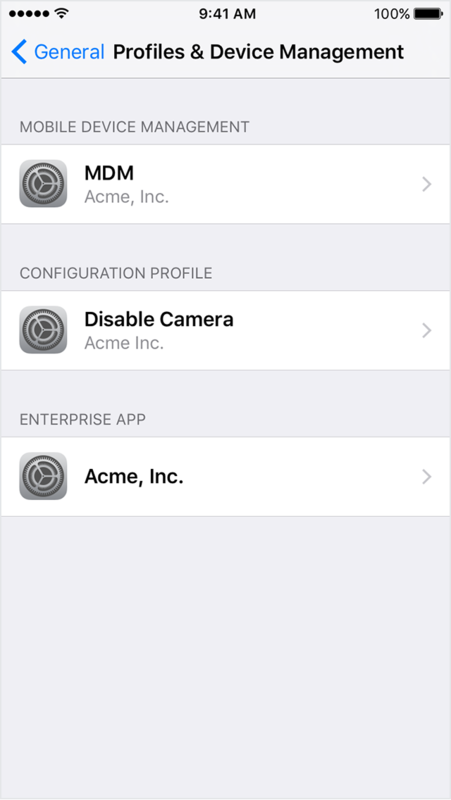 What Are the Steps Needed to Manually Trust an iOS Enterprise App? 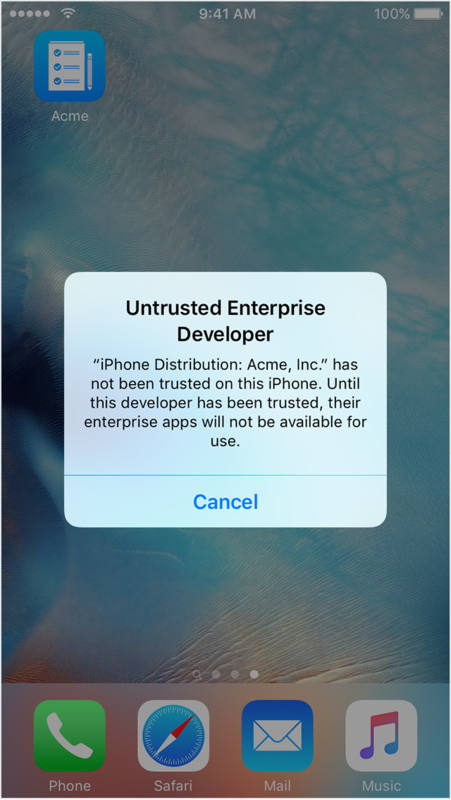 When you first open an enterprise app that you’ve installed on your phone you’ll see a notification that the developer of the app isn't trusted on your device. You can dismiss this message, but you won’t be able to open the app until you’ve manually trusted that developer on your device. Here’s how to manually trust that developer. Go to your phone’s Settings, then navigate to General -> Device Management. Under the "Enterprise App" heading, you’ll see a profile for the app’s developer. Tap the name of the developer profile under the “Enterprise App” heading to establish trust for this developer. Tap on “Trust (Developer Name)”. You’ll then you see a prompt to confirm your choice. After you trust this profile, you can manually install other apps from the same developer and open them immediately. This developer remains trusted until you use the Delete App button to remove all apps from the developer. 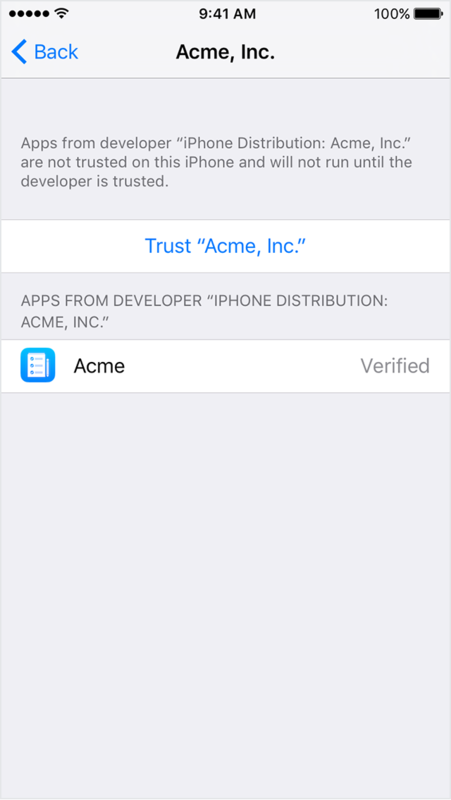 You must be connected to the Internet to verify the app developer's certificate when establishing trust. If you're behind a firewall, make sure that it's configured to allow connections to https://ppq.apple.com. If you aren't connected to the Internet when you trust an app, the device will display "Not Verified" instead. To use the app, connect to the Internet and tap the Verify App button. 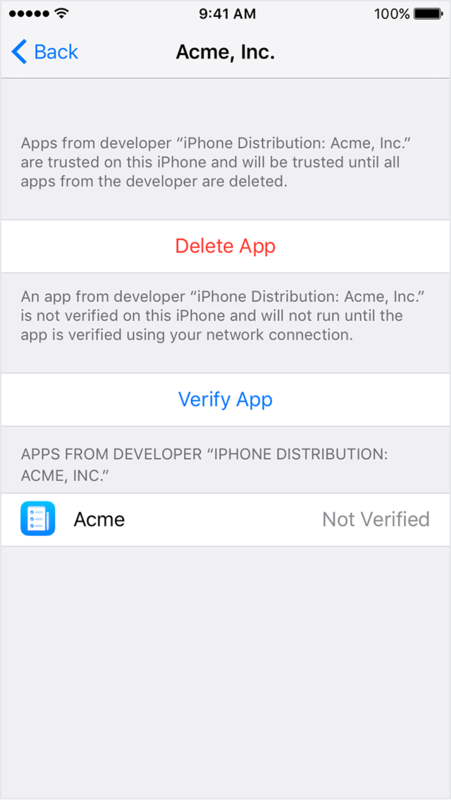 After you verify an app for the first time, your iPhone, iPad, or iPod touch must re-verify the app developer's certificate periodically to maintain trust. If you can't re-verify, you may see a message that verification will expire soon. To maintain trust, connect your device to the Internet, then tap the Verify App button or launch the app.